Grab an extra cup of coffee because your mornings are about to get a Great White Way-sized makeover! Lifetime Channel's award-winning morning show The Balancing Act will present the fourth season of its five-part special series Broadway Balances America, sponsored by Broadway Across America. Season four of the series, which takes you backstage of some of Broadway's most-beloved musicals, will premiere on the Lifetime Channel on September 11. 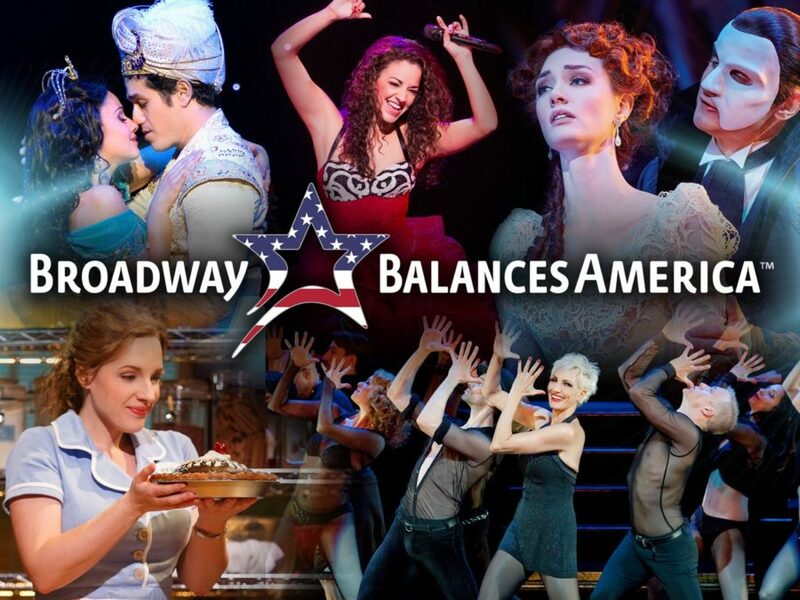 This season of Broadway Balances America provides behind-the-scenes excerpts and interviews highlighting the shows that are featured on Broadway Across America’s 2017-2018 Broadway series nationwide, including Disney's Aladdin, On Your Feet!, Andrew Lloyd Webber's Love Never Dies, The Phantom Returns, Waitress and Chicago. The hosts get up close and personal with the casts and crews, even experiencing what it’s like to take the show on the road. So, do you want to know what the fourth season of Broadway Balances America has in store for you? Of course you do! You'll meet actress Isabelle McCalla, who makes her national tour debut as Princess Jasmine in Disney's Aladdin and be given a sneak peek into what it takes to create Broadway’s most-anticipated reunion between the Phantom and Christine Daaé in Love Never Dies, the highly-anticipated sequel to The Phantom of the Opera. Plus, you'll travel to Miami to meet actress Christie Prades, as she prepares for her national tour debut in Emilio and Gloria Estefan’s hit musical On Your Feet!, and get to know the extraordinary women who made Broadway history as the first all-female creative team with the hit Broadway musical Waitress, including Tony-winning director Diane Paulus, six-time Grammy nominee Sara Bareilles, acclaimed writer Jessie Nelson and choreographer Lorin Lotarro. And in the final episode, you'll celebrate 20 years of razzle dazzle with Chicago that will culminate with the Broadway debut of The Balancing Act host Amber Milt, who will share her journey from rehearsal to opening night in this iconic show.